Coming from a real estate family, entering the real estate brokerage business was for me, a default decision. Like most families, dinner table talk revolved around our daily lives and as both my parents were actively involved in the family real estate brokerage, little else was discussed. Herb Neumann Real Estate was a small family owned business. It was never a large player in the local market; however it offered the greatest building block any business could wish for. The reputational foundation provided by Herb Neumann cannot be overstated. It remains a testament to the philosophy that applies equally to individuals and businesses and states: if you have integrity, nothing else matters. If you don’t have integrity, nothing else matters. 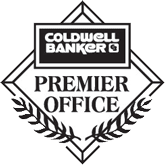 Fast forward to 2006, moving Coldwell Banker Neumann Real Estate to our current location, was a conscious decision to apply a basic business principle to our growing team of successful agents. That principle was basically this: implement a process that makes success most likely, and allow the results to take care of themselves. Metaphorically, you may recognize this aslook after the pennies, and the dollars will look after themselves.Simple, yet effective. That is it. There is no magic formula or secret to success other than develop a process, and implement it steadfastly. While Coldwell Banker Neumann Real Estate has grown by over 300% in that period of time, we remain a process focused company, glancing at results only enough to reassure ourselves that we are on the right track. Lastly, Coldwell Banker Neumann Real Estate recognizes that our clients have a choice. We believe that we are a good company, but we understand we are not the only company. Thank you to our past and future clients for allowing us to serve your needs. We commit to continue implementing the process that will make your success most likely. celebrates 46 years in the Guelph community.